2015 YS Tech activities with the new UL testing procedures. Last time, I gave you guys the heads up of what UL was going to be doing this coming year regarding re-certification of a large number of our cooling fan products. As you may have guessed this is a UL REQUIREMENT and believe me, not necessarily in the best interest of YS Tech! fan and of a locked-rotor fan. I assume they were placing their thermocouples on the fan body or frame. If the Temps in these two instances were below the target maximum figure, the fan [model] was good to go! But, not any more. Now, for our fan models using MOSFETs to drive the motor, UL will be monitoring the fans PCB [Printed Circuit Board] temperature and I believe some component temperatures too. As you can imagine this is a more involved test and forces our Engineers to really do detailed thermal analysis at the board/component-level to be sure we come in under the UL maximums. If you’re thinking, “why is YS Tech Engineers now using MOSFETs to drive the motor”? Why is it necessary, now? Well, that is reasonably simple to explain – remember those [NEW] fan models that operate at EXTREME RPM figures? Those guys are able to operate at those RPMs because they were redesigned using Microcontrollers and … you guessed it, MOSFETs! Does, “no good deed goes unpunished,” come to mind? It did for me! It seems to be one of those necessary evils which is required to stay up with the big dogs of the industry. A YS Tech commitment, BTW! Which brings us to another subject we will be discussing in the near future. And that is just how YS Tech product capabilities compare to the cooling fan industry leaders! This will not be a surprise to you fan experts, but for some sales individuals [you] will be surprised to realize that YS Tech offers some of the highest performance cooling fans, on the market! Of course performance only takes [you] so far, especially when you’re setting in front of, “that Purchasing Agent,” whose every other word seems to be … PRICE. 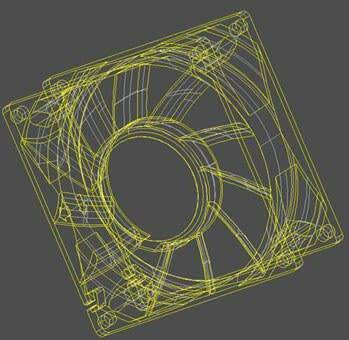 Rest assured, YS Tech Engineers are VERY price sensitive and will design these fan models to be price competitive. As always, if you have any questions concerning particular models you are selling, don’t hesitate to get a hold of me and we can discuss the particulars.